The Kishu Ken is an ancient Japanese hunting dog bred to hunt boar and deer. Originating in Kyushu, the modern-day prefectures of Mie & Wakayama, they are a rare breed even in their native country. The main breed registry is in Japan. In the United States there is the American Kishu Registry and Breed Club and the American Kennel Club (AKC). 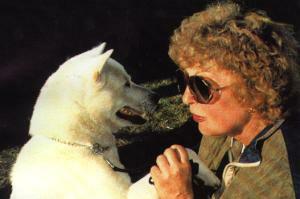 There is a legend…..writes Japanese dog breed historian, Shigeru Kato……. that the Kishu Ken is descended from wolves. It is believed that a hunter took pity on an injured wolf in the forest, and all he asked in return was that the wolf one day bring him one of its pups. 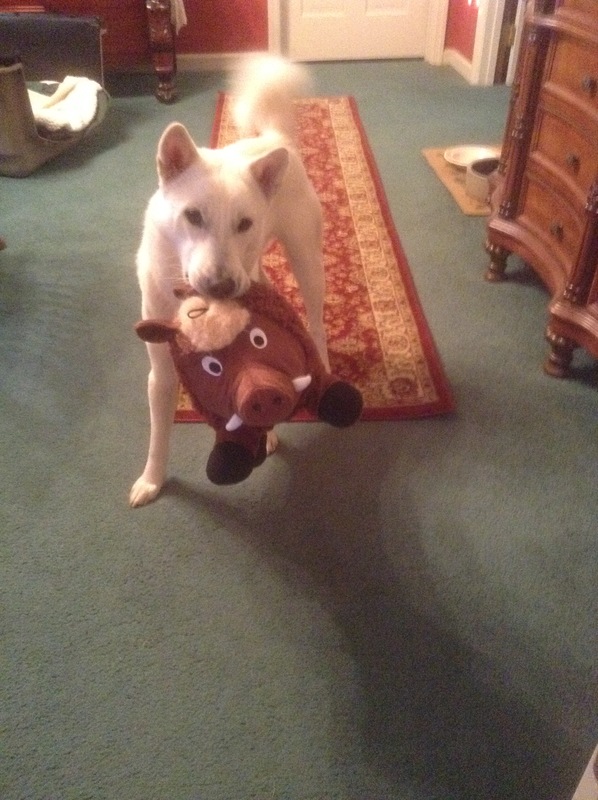 The wolf kept its promise, and the pup became a great boar hunter and the forefather of the Kishu Ken. While the early Kishu Ken included coat colors similar to other Japanese breeds, due to hunter preference the majority of Kishu Ken today are white. They are powerful, athletic animals with a strong desire to hunt and a spirit to match. The Kishu Ken was declared a National Monument in Japan in 1934. The breed has been treasured by Japanese hunters for hundreds of years. Paintings from hundreds of years ago depict the Kishu Ken hunting wild boar. The breed managed to survive during and after World War II, protected by the area’s isolated mountainous terrain and the hunters who prized them for their hunting prowess. Kishus Kens need a yard to “hunt” in. They do NOT do well in a kennel environment. The breed has it’s origins in the mountainous Wakayama region of Japan. The Kishu is a very athletic, muscular dog that has become highly popular as a family pet. 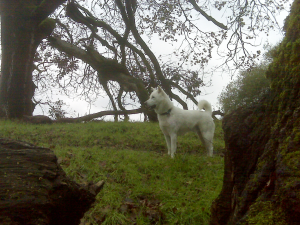 Like the Japanese philosophers of old, the Kishu is pensive and silent. In 1934, the Kishu Ken was designated a protected Japanese national monument. Kishu Kens are very loving and affectionate with their families and need to be included in activities. They are great with kids if raised with them. They are often aloof with strangers. Litters of one are not unusual. 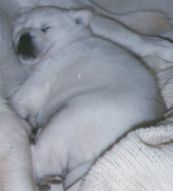 Puppies resemble baby polar bears. THE KISHU KEN IS AN INTERNATIONALLY RECOGNIZED RARE BREED LISTED IN THE FOUNDATION STOCK REGISTRY OF THE AMERICAN KENNEL CLUB.